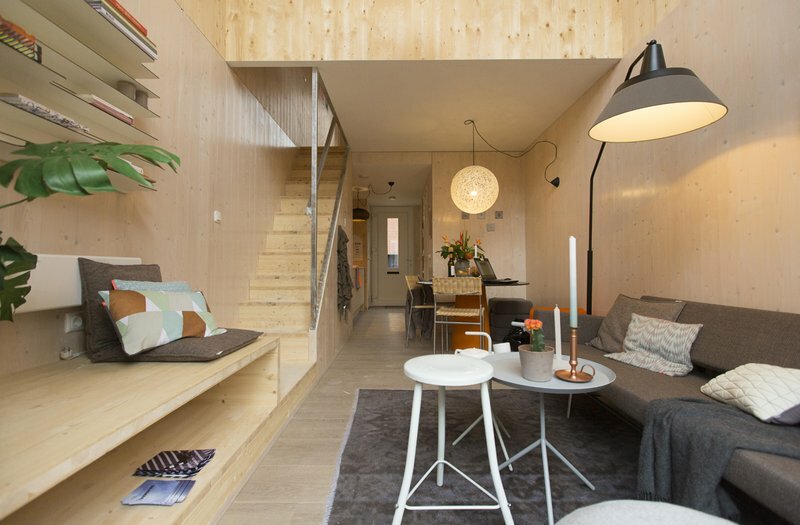 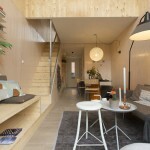 Heijmans ONE is the brainchild of an Amsterdam real estate developer who wanted to provide young people with a way to live in a comfortable home that is also affordable. 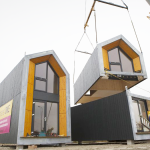 The idea would be that residents would move into a Heijmans ONE located on a property where building is stalled (or a similar vacant parcel) and then move out when construction kicks up again. 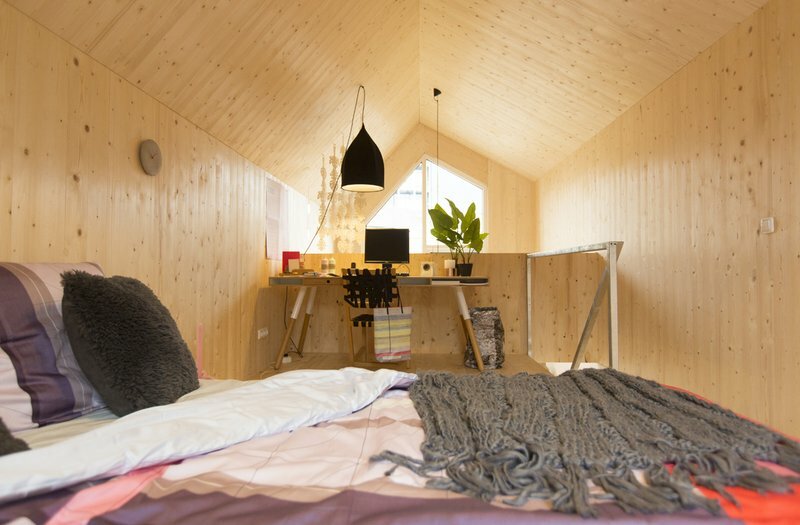 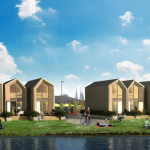 In Amsterdam, the houses would rent for 700 euros a month—or about $900. 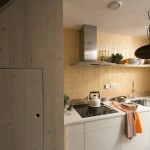 The homes would also be constructed sustainably, using eco-friendly wood and solar panels to provide resident with power. 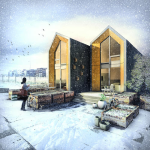 The current design also allows for the building to be hooked up to the city’s water and sewage, although the goal is to eventually take the home totally off-grid. 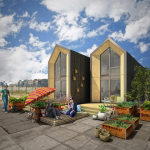 In New York, the design pairs well with the city’s recent announcement that they would turn nearly 180 vacant lots and community gardens across the five boroughs into affordable housing. 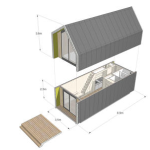 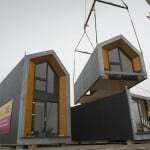 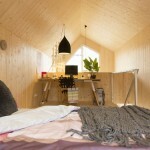 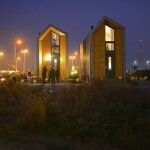 To date, two prototypes have been constructed with a “test resident” occupying one of the homes in the Netherlands. 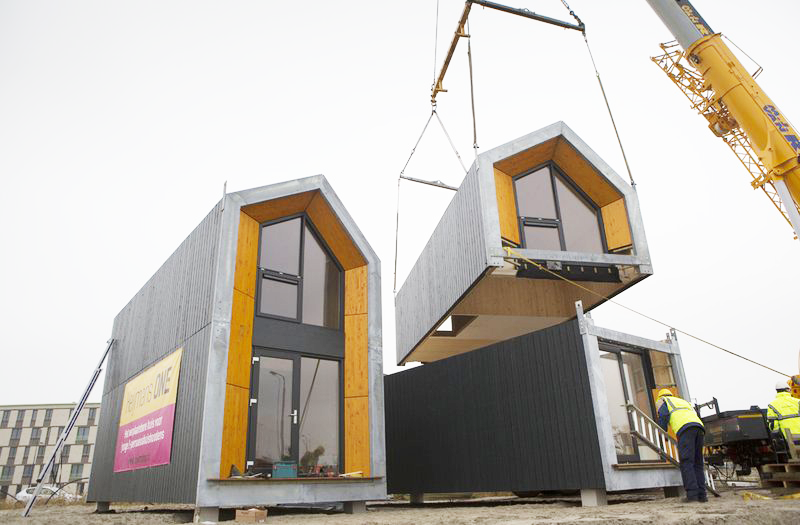 The makers of Heijmans ONE are, however, looking to bring the design overseas.